Emiliana Erriquez was born in Italy in 1977. She has a Master of Arts and a Master in Translation (English-Italian). She is a freelance translator since 2004 and a journalist since 2007, she worked for some newspapers in Italy. She now translates for different authors (Scott Nicholson and Patricia Mclinn, among the others). Emiliana won the prestigious Giuseppe Sciacca Award in 2006. She published her first novel 'Lasciami stare' in 2007. 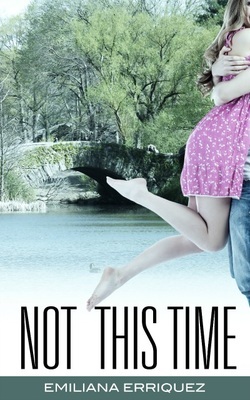 She wrote her second novel, NOT THIS TIME, available on Amazon. She is going to publish her third novel in some weeks. Amira—a bright, beautiful Italian brunette—leaves her homeland after high school to work in California, full of dreams of a new adventure in a new country. The adventure intensifies when she meets Steve—a handsome college freshman with penetrating green eyes. They begin their dance but Amira suddenly must leave the floor … a tragedy calls her home to Italy. The two would-be lovers reach out to each other across the ocean for years, even as their lives continue with new loves, new friends and new opportunities. Then one day, they find themselves face to face. Can their dream come true … this time?